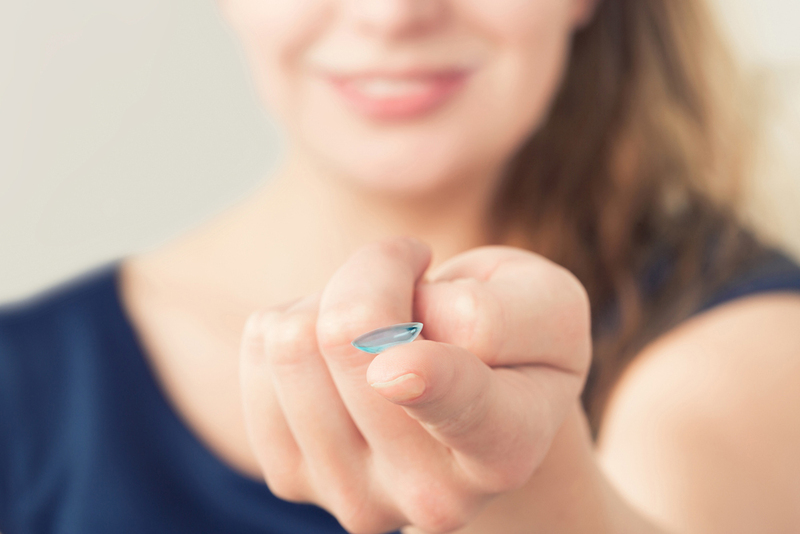 Contact Lenses - Our clinics both feature in-house contact lens ordering and fitting. We provide a wide variety of prescription and non-prescription contact lens options including hard to fit lenses, cosmetic and colored lenses, daily wear, extended wear, and more. Eyeglasses and Sunglasses Frames - Our optical department has a pair of eyeglasses or sunglasses frames to suit every individual's unique bone structure and personal style. We feature a wide selection of brands from sporty or casual to sleek and chic, we have a style of frame for you. Advanced Optical - Our advanced optical departments offer a wide selection of lens types of eyeglasses including, computer vision lenses, bifocal lenses, tinted and polarized lenses, progressive lenses, and premier HD lenses. Eye Care Accessories - We also stock a supply of eye care and eye wear necessities such as lens cleaner for different types of eyeglasses lenses, contact lens solution, and eye drops. In addition to providing patients with visual acuity correction and stylish eyewear, we are also a full service optometry clinic. Our optometrist in Stratford and Bridgeport provide a comprehensive list of eye care services from eye disease diagnosis and treatment to comprehensive eye exams and eye health counseling for patients of all ages. The American Optometric Association recommends healthy adults visit their optometrist for a comprehensive eye exam at least once per year. During your annual comprehensive eye exam, our optometrist will re-evaluate your visual acuity needs to update your eyeglasses or contact lens prescription, in addition to screening your eyes for early signs of eye diseases such as glaucoma. For additional information regarding the products or services we offer or to schedule an appointment contact us at (203) 333-2020 (Bridgeport, CT) or (203) 377-2020 (Stratford, CT). We look forward to serving you.